We have heard that BMW has publicized the attainability of the M-Sport package on the X1 series and that too with the introduction of the X1 xDrive28i and the market who takes the honor of offering this is the British market. 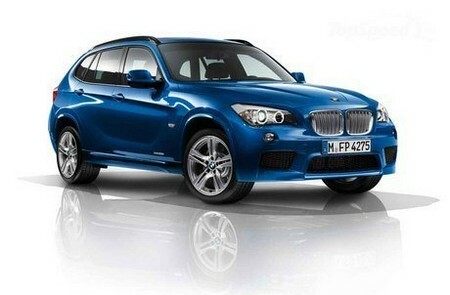 In British market the model bears a price tag of £26,615 OTR ($42,500 at the current exchange rates) for a BMW X1 sDrive18d M Sport and £27,710 OTR ($44,000 at the current exchange rates) for xDrive18d M Sport. The M Sport package will feature a new set of 17-inch star-spoke M alloy wheels, high gloss Shadowline exterior trim for the window fence, chrome plated door sill finishers along with M designation, Anthracite headlining, Sports seats and M Sport multi-function steering wheel. Both the BMW X1 xDrive18d and the BMW X1 sDrive18d will be powered by a four-cylinder diesel engine with an output of 143 HP and torque of 236lb-ft. both the models are capable of sprinting from 0-60 mph in 10.1 seconds and 9.6 seconds respectively. The top speed for both the model is 121 mph and 124 mph respectively.